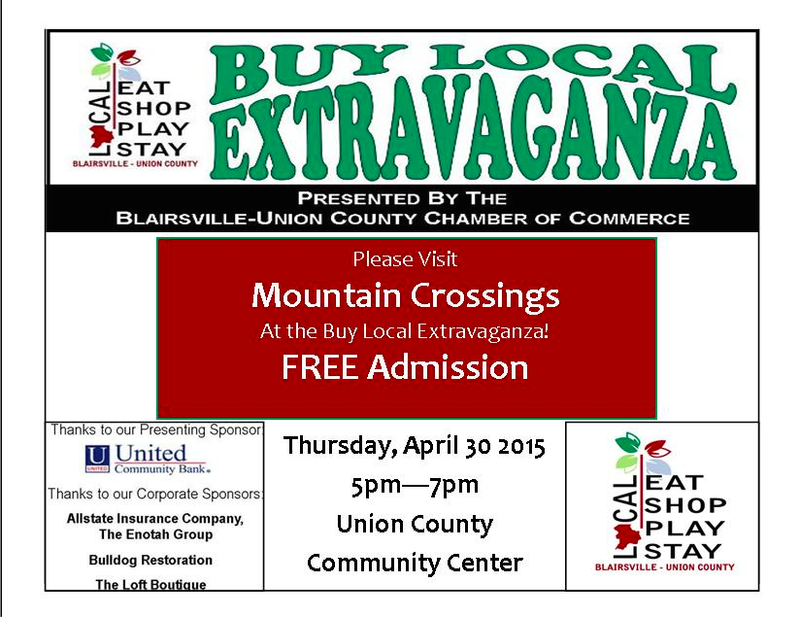 The Buy Local Extravaganza is an event at the Blairsville-Union County Chamber of Commerce to showcase the local businesses in our area. Over 40 businesses will be in attendance! There will be door prizes, give aways and sample tastings from businesses who offer edible creations! Not to mention all the free business contacts that can be made within our very own community. Come spend and evening delving into and support your local economy! This entry was tagged appalachian Trail, Blairsville, Buy Local, Georgia, mountain crossings, Neel Gap, North Georgia. Bookmark the permalink.